Microsoft has just released the latest version of its Office Suite for Macs which features majorly upgraded and new features and what’s most attractive about the news is the fact that the price hasn’t been raised. Microsoft is aiming to bring the PC and Mac a little closer with this new release and hence not charging a different price from Mac users, even though they’re getting a great new and improved package. The entire “Home & Business” bundle goes for $279, and if you’re not so into Outlook, you can get the Word / PowerPoint / Excel “Home & Student” version for $149. 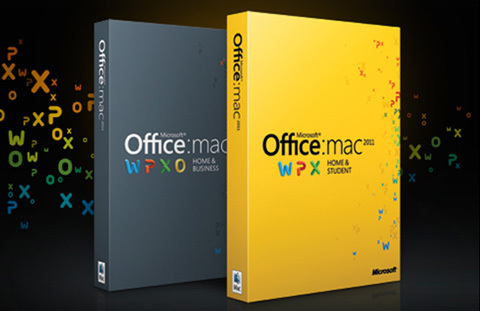 Office 2011 for Mac replaces Microsoft’s Mac-specific Entourage email app with the industry standard Outlook, brings in some interface tweaks from Office 2010 over in PC land, and integrates with those Office Web Apps you’ve been hearing so much about. The new version supports collaborative sharing and editing, has an updated interface and its MS Outlook is being declared the first Mac e-mail client that is at par with its Windows counterpart. All key features of MS Office, namely Word, PowerPoint, Excel and Outlook have received a number of upgrades, tweaks and changes and the version is getting rave reviews from all quarters.